In mid November, Janice and Ray Kelly travelled to Tokyo to attend the wedding of Willesden member Akiko Kawachi to Kaoru Obata. 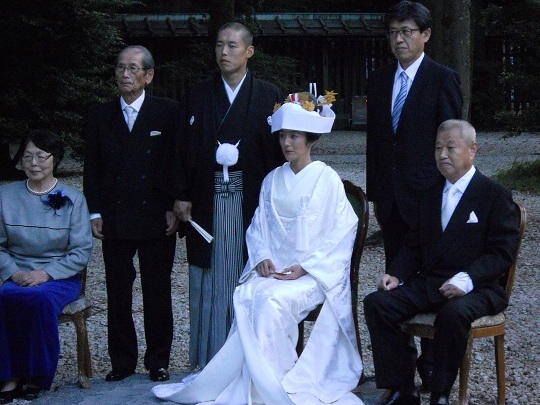 The wedding took place on 29th November, in the Meiji -Jingu (Imperial Shrine). This is the most important Shinto shrine in Tokyo. It was a wonderful event, the bride looked absolutely beautiful in her white kimono. The groom was very regal in his traditional japanese attire. On the 1st December a massive party took place at The Royal Garden Cafe for the bride and groom’s friends and relatives. 250 people attended. A fantastic evening with traditional Okinawan music, party games, great food and drink. 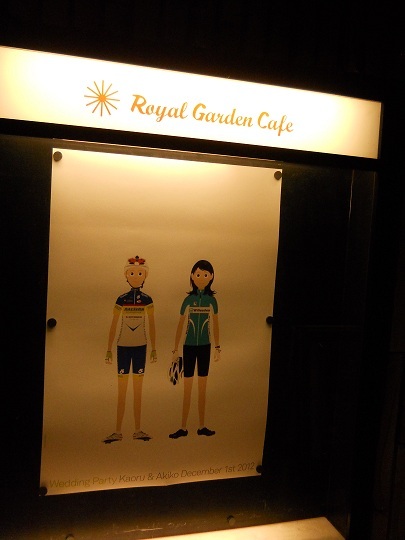 Both Akiko and Kaoru are keen cyclists. 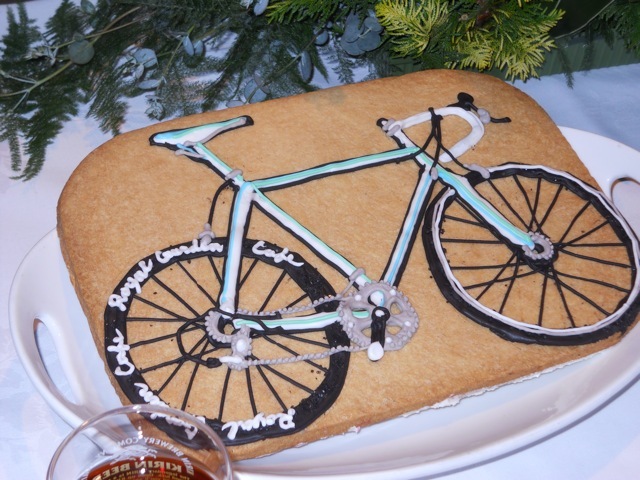 Akiko rides long distance Audax events and Kao is an Elite road racer. We wish them great happiness in the coming years. Here are a few photos of the event plus a photo of the Willesden CC National flag seen flying at The Tour of Okinawa cycle race. Even the wedding invitations showed the cartoon of Akiko in her Willesden Kit and Kao in his trade team strip.